Why this is very Midwinter Madness! The 600 hundred year old Mortlake Brewery (currently owned by Stag) is to close. And yet still the media can’t get enough of Lily and her friends. Be not afraid of success: Liberty isn’t, and report a terrific trading Christmas. Still you keep o’ the windy side of the law: Boris is honouring an election pledge for more coppers at train stations. 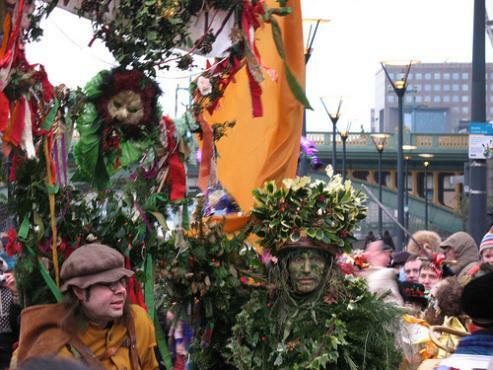 Twelfth Night Holly Man by hapticflapjack via the Londonist flickr pool.